It’s the key to shaping the future of the cities we live in. Unless you’re an architect or city planner, the importance of urban design has likely passed you by. But as the recent Urban Design Summit hosted at The Working Capitol has proved, it has the power to influence and shape our daily lives. 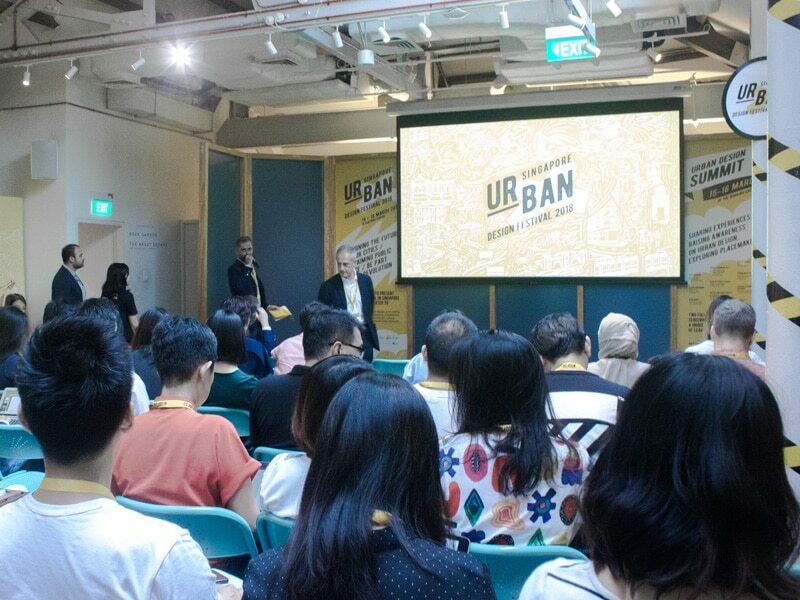 This two-day international summit tackled the importance of urban design in Singapore and beyond, featuring a wide array of workshops and panels by government, industry and citizen leaders. And the theme that proved to be a common thread throughout? Community. Ben Gattie, CEO of The Working Capitol, kicked off day two of the summit with a deeper look into how their coworking community coexists with the local community around Keong Saik. Beyond its primary purpose as a coworking operator, The Working Capitol has also helped regenerate a tired nook of Chinatown thanks to a raft of cafes, restaurants, and bars that have also moved into its space. Which leads to the question: are coworking spaces the first wave of creating a more integrated, communal society? Also, you may be thinking, what on earth does that have to do with urban design in the Red Dot? The future development of Singapore lies to a significant degree in the hands of the Design Singapore Council, and Executive Director, Mark Wee was on hand to share the 2025 design master plan for the city. He explained there are three core pillars driving urban redevelopment within Singapore. First is thoughtful design that places people, as opposed to cars, at the centre of the design model. Second, is that the city should foster shared memories and emotional connections (through the creation of more social offerings, entertainment spaces, and an increasing amount of open green spaces where people can gather and enjoy together). And finally, ensuring Singapore is a city that invites co-creation. It’s this final point that Mark Wee believes will encourage the population to think about how we work and play together, and share a sense of ownership over the city. In essence, a city that invites co-creation encourages community. A concept already ingrained and championed within the world of co-working. In recent years we’ve seen co-working become increasingly popular in cities the world over, so will the success of this trend start infiltrating into other areas of our life? Joop de Boer, Co-Founder of Pop-Up City, certainly thinks so. He believes as technology advances we can expect to see more fluid cities, where societies fundamentally shift how they choose to function. De Boer suggested that if urban designers moved from creating spaces to creating places and focused on developing more social environments, people will change the way they choose to live, in the same way that many people have already changed the way they choose to work. This is particularly relevant in urban areas where despite being surrounded by people, loneliness is common (a recent government survey found 32% of Singapore’s population identified as lonely). No surprise then, that co-living is emerging as the latest trend to sweep through urban areas. For example, in Shanghai, car brand Mini has diversified into urban development with the construction of the MINI Living building; a co-living destination that maximises quality of life in compact spaces. And in Singapore, tech co-living company, Hmlet, has recently entered the market providing rooms and full apartments for rent in communal apartment blocks. We’re also starting to see a shift in our daily commute habits thanks to the rise of shared services like GrabHitch and GrabShare. We see global brands like Nike taking over disused spaces, like inner-city football pitches, and regenerating them for everyone to use. Guerrilla urban furniture is a ‘thing’ (where citizens unofficially use discarded materials to create public seating or other installations in unused pockets of urban areas). And in Singapore, funding is available through the Urban Redevelopment Authority’s ‘Our Favourite Place’ initiative to support projects that transform existing public spaces into active community spaces. All of these ideas and initiatives encourage shared experiences and closer communities. As Singapore continues to grow and develop, urban design is the key to shaping a city that encourages and fosters a more communal, sharing society that we’ll all benefit from living in. And that’s why we should all sit up and pay attention. Interested in reading more thought pieces on entrepreneurship and work culture? Subscribe to our newsletter here.